Chris Klie's known for his Master Levels and other megaWADs. BF_THUD! 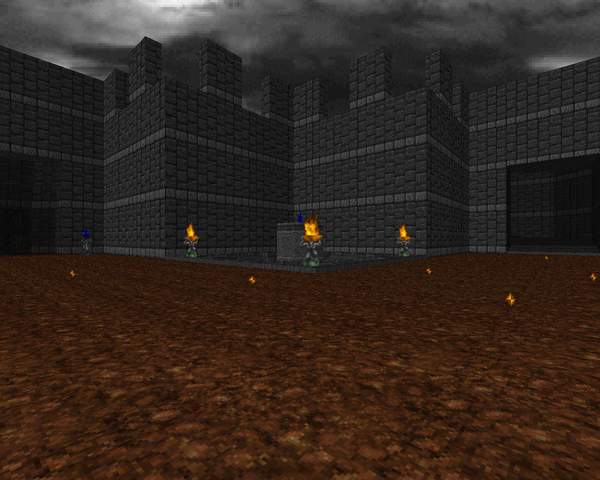 carries the subtitle "ChrisK for Doom ]["; Ye Olde Smudge is, similarly, "ChrisK for Heretic" (the original ChrisK being for Doom). Smudge enjoys the same kind of level composition as its sister, BF_THUD. 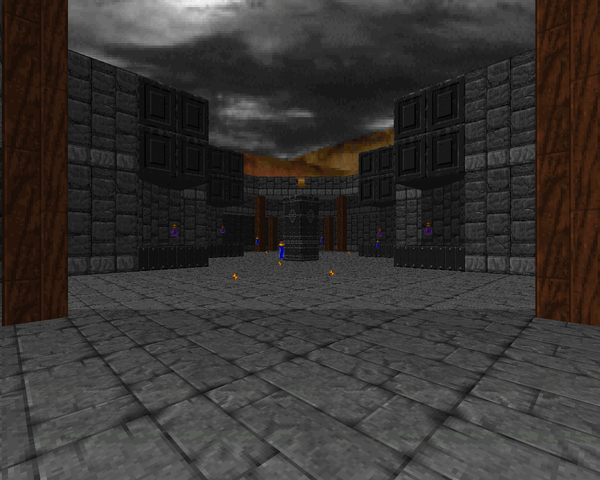 The levels are small, packed into tight square areas with low-tier monsters coupled with puzzles. There's no given plot – they're just presented as the complete collection of Chris Klie's Heretic levels. Like BF_THUD, they are loosely themed on the map names whose slots they occupy. MAP02 is the nastiest of the bunch, with a lot of timed lifts and switch hits that require some extra thought. The rest have tricks to varying degrees, and usually large fights at the beginning followed by smaller, incidental battles as you poke around the rest. Altogether, they're decent Heretic plays. Honestly, I think the more fantastic setting fits Klie's BF_THUD format. 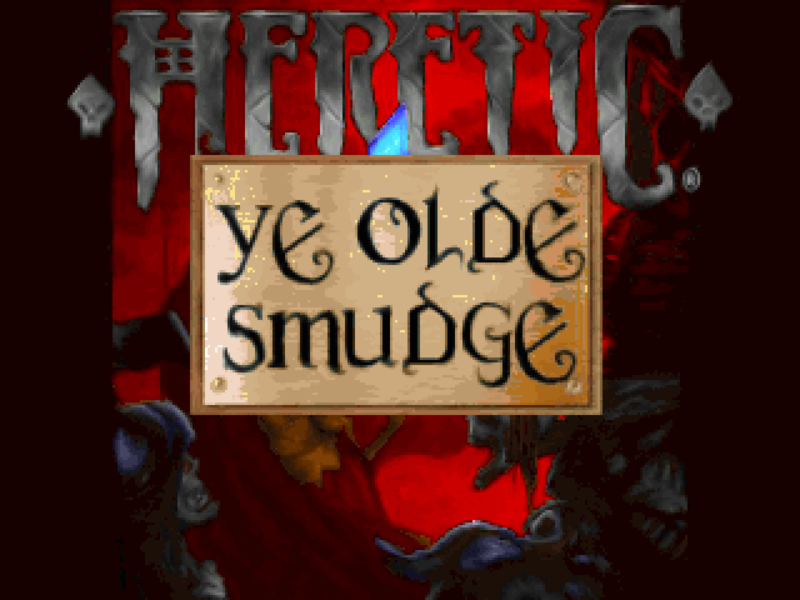 Heretic lends itself to a more adventure-gaming style (though not as much as Hexen) and, if I'm not mistaken, I think this was the tail end of Chris's freeware mapping career, showing his chops pretty well. You won't do wrong to play these little gems (though there are certainly more precious jewels). 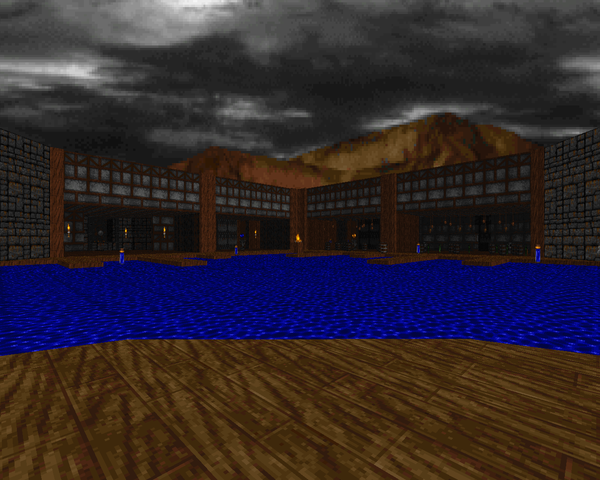 Starts out in the danger zone; the Docks themselves are fairly open but there isn't any ammo lying around, and you certainly don't have enough to off all the golems and gargoyles. You'll have to duck into the side areas in order to get enough appropriate goodies (mainly the ethereal crossbow). The yellow key pit looks pretty cool, and its little annex is probably the most interesting section, with the winding staircase, clustered enemies, and that confounded damage floor / teleporter combo. Klie steps things up in terms of puzzles and combat. Well, the combat feels better-balanced, at least. The highlight is the courtyard fight around the water pool, which has several different kinds of monsters to look out for. The real problem is sorting out the various tricks required to get anywhere. There are a handful of timed lifts and the yellow key is accessed via a method one would typically think of as secret. That lift / door to get to the crossbow is kind of annoying. 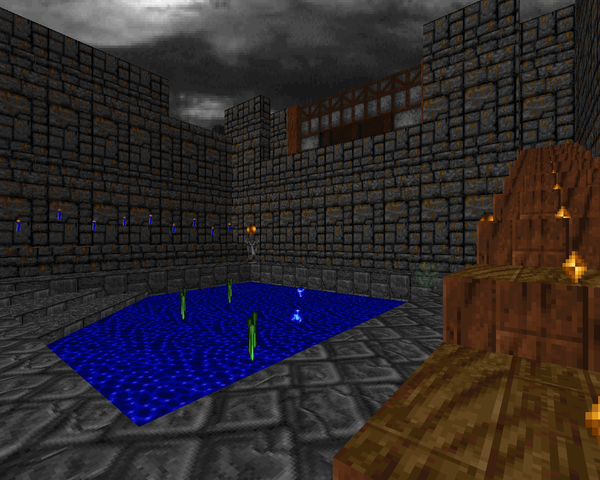 A pretty simple level based around the gatehouse. Most of the good action happens in the first few moments as the enemies are all free-roaming on the outside. You can either pick away at them with wand crystals or vault up to the top of the tower and grab a crossbow for some good blasting. Once you make it inside, it's light combat broken up by one major headache, a tedious teleporter puzzle with successive timed switches. Don't miss the green keys before you beat the gauntlet or you'll be irked by your second run.